1. To note that the University Examinations which are postponed from 23.11.2015 to 30.11.2015 are further rescheduled from 07.12.2015 (Monday) due to heavy rain at Nellore and Chittoor districts. The detailed timetables will be notified shortly. You are requested to inform the same to the students concerned immediately. 2. To conduct any pending laboratory examinations and send the award list in sealed covers on or before 05.12.2015 (Saturday). 3. 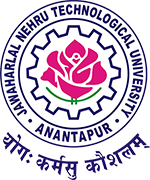 To note that hall tickets will be generated only for eligible students who have paid the UCS fee, for whom clearance has been given by the University and whose examinations fee has been received and will be available to the colleges in the JNTUA EMS on 03.12.2015 (Thursday) for download. Sir plz…. postpone the exms bcoz hevy rain in chitttor.